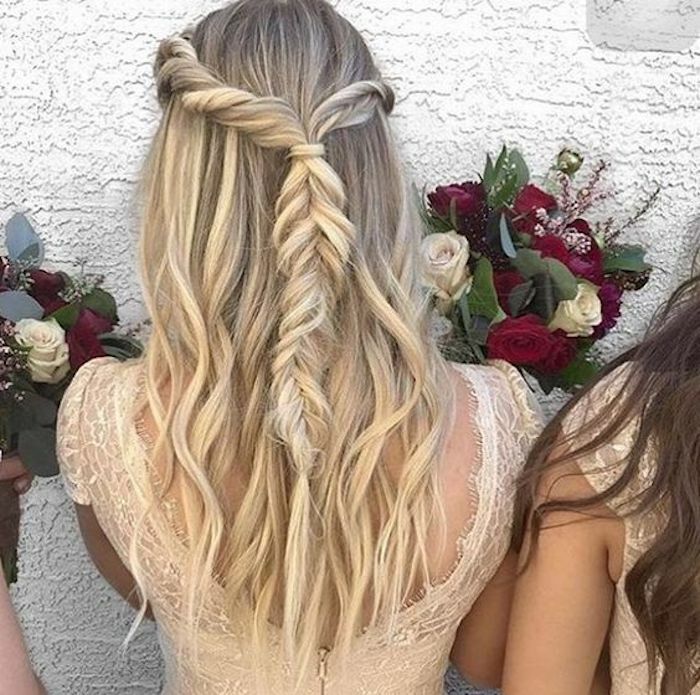 One of the best things about braided wedding updos is they suit hair of all lengths and types. 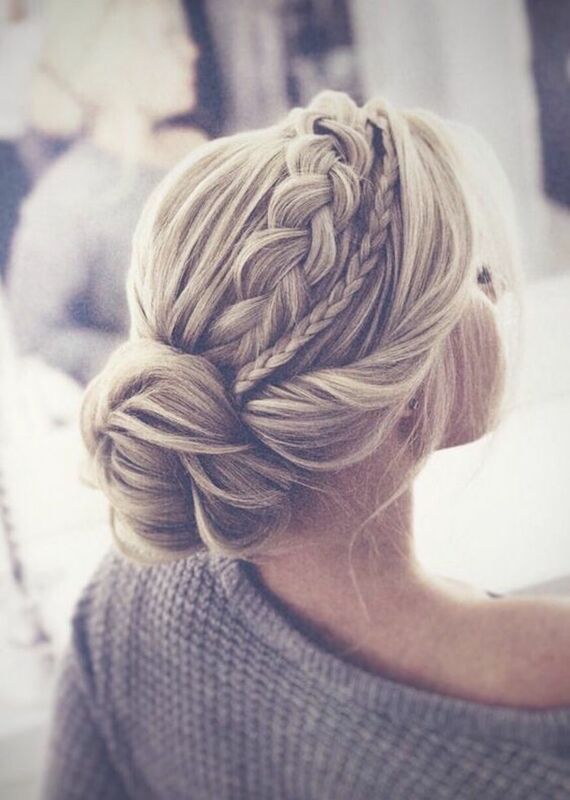 You don’t need super long lengths to achieve romantic and textured braided updos. 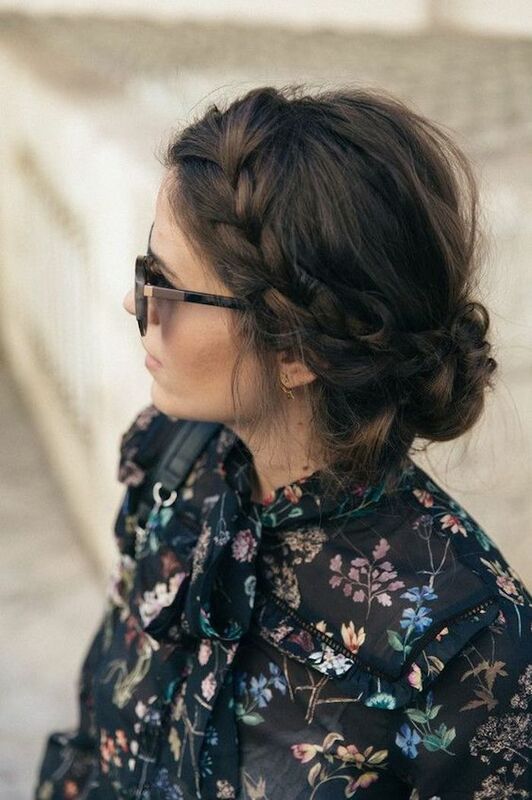 If your hair is on the shorter side, you can still create softly swept hairstyles with braids and twists. 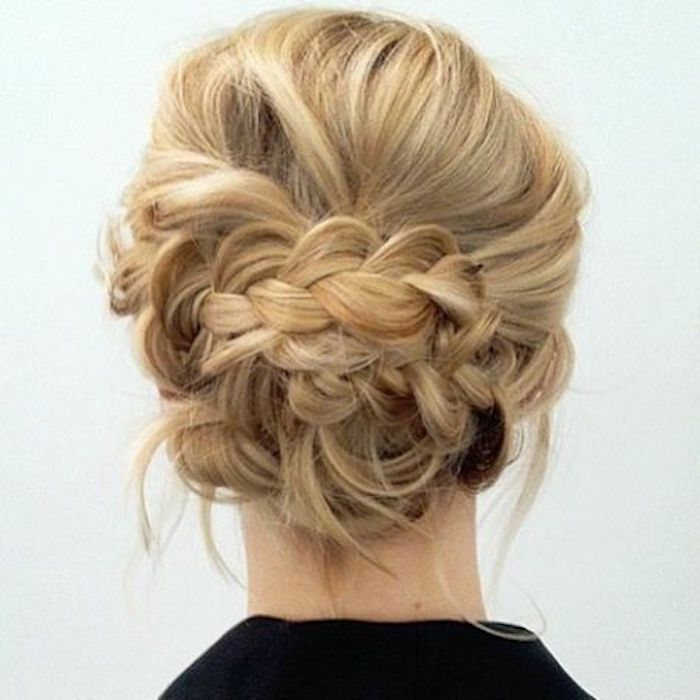 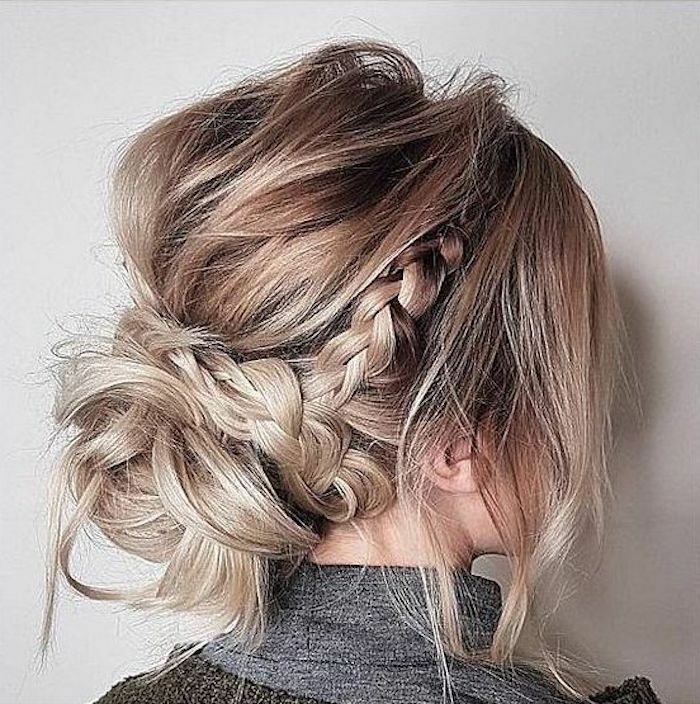 So your recent lob hairstyle can easily translate into a romantic updo that you’ll just adore. 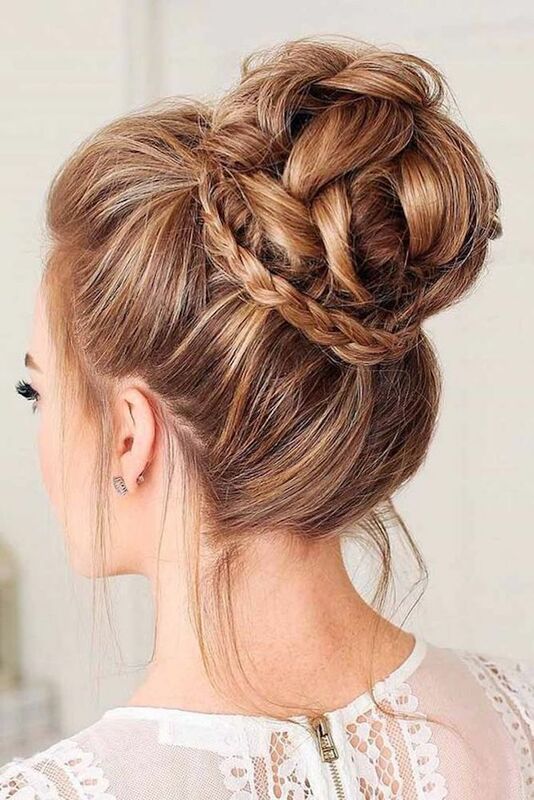 Fancy an updo that’s a little more textured or detailed? 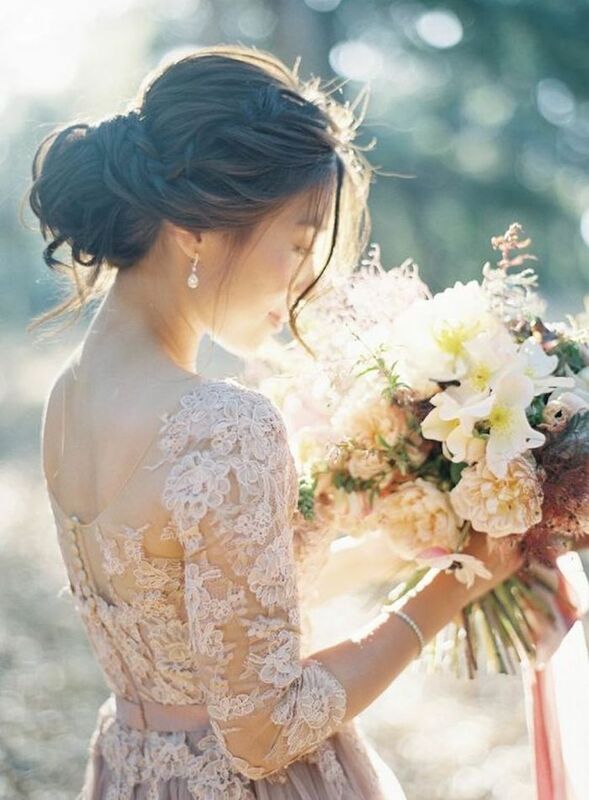 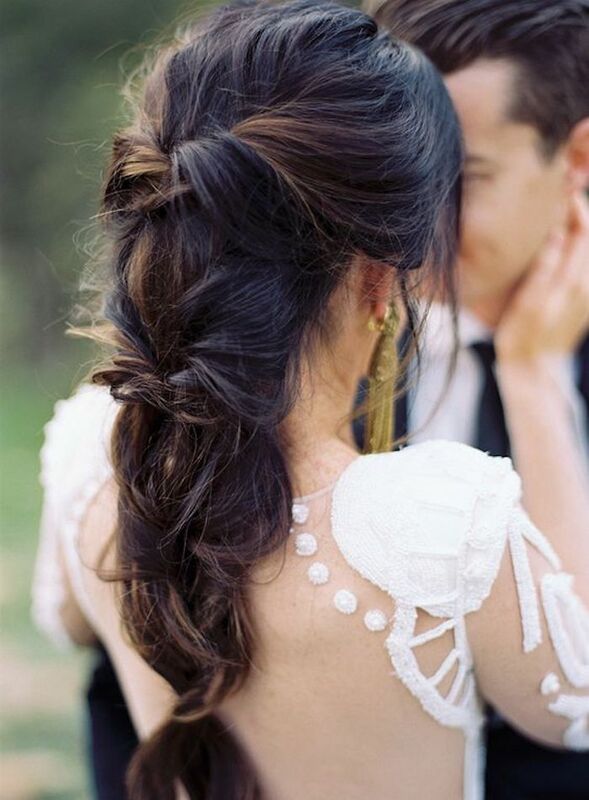 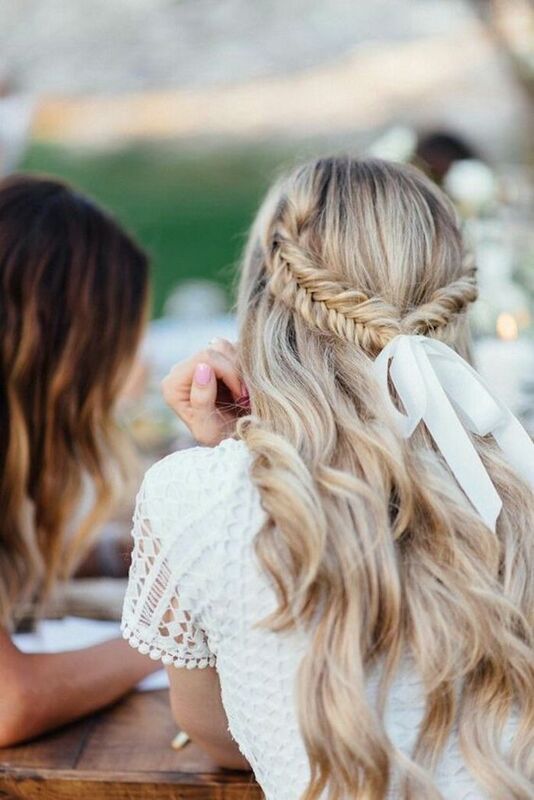 Chat to your hairstylist about incorporating extensions into your bridal look. 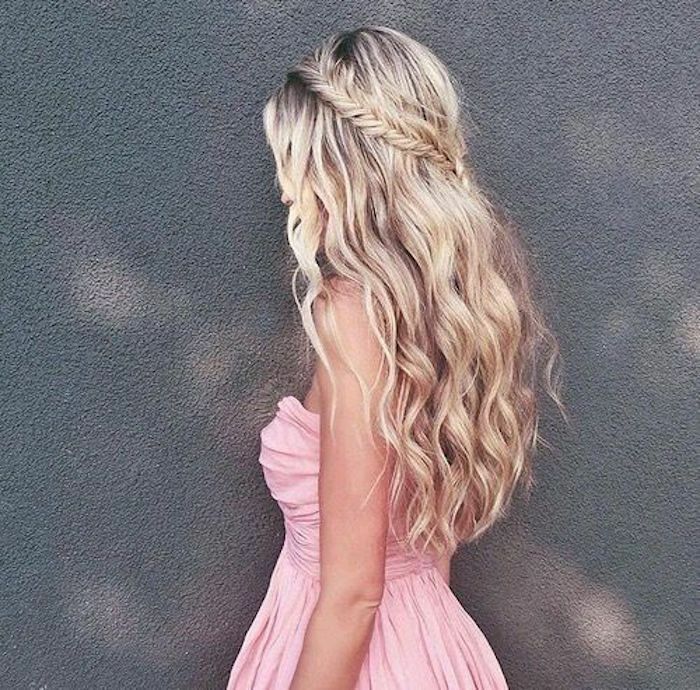 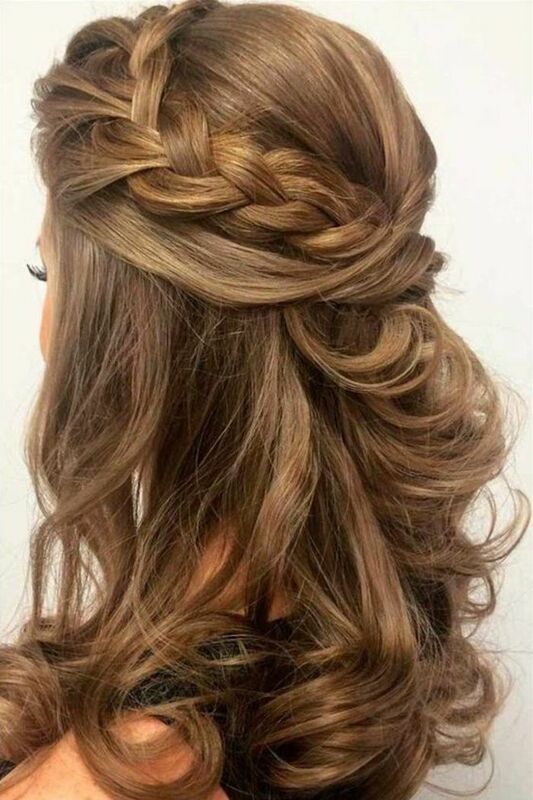 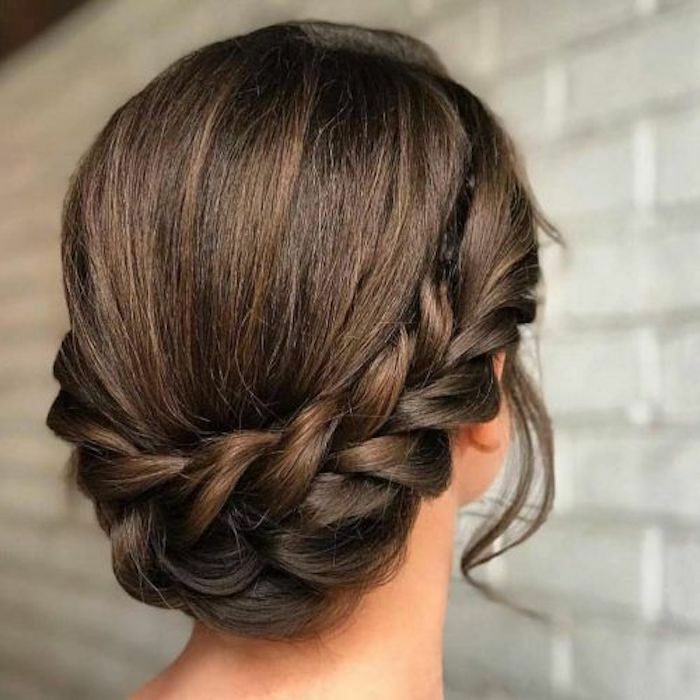 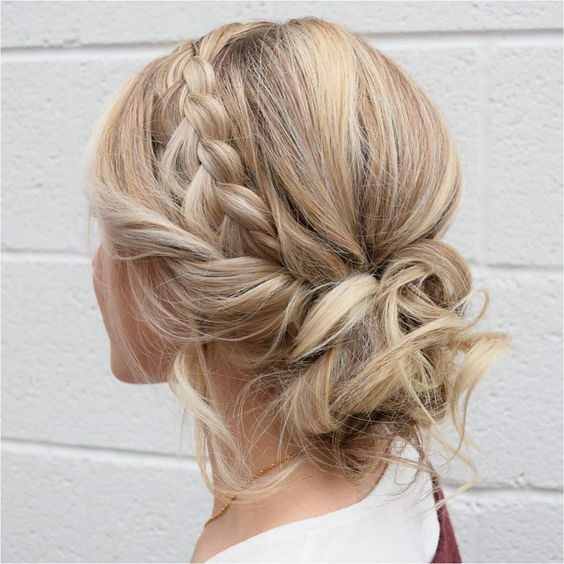 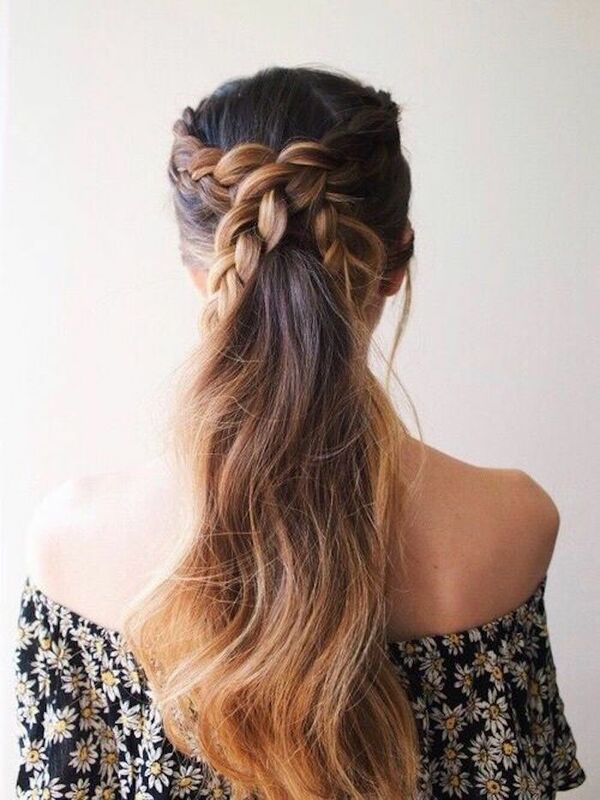 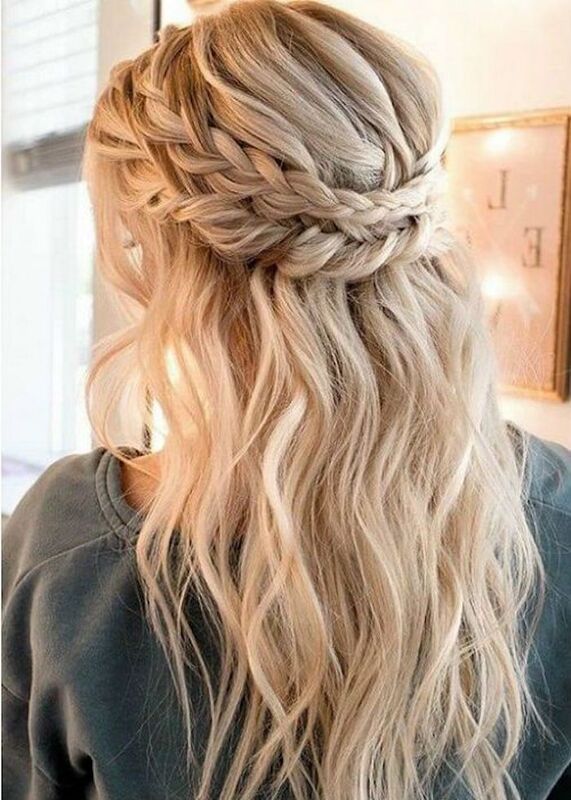 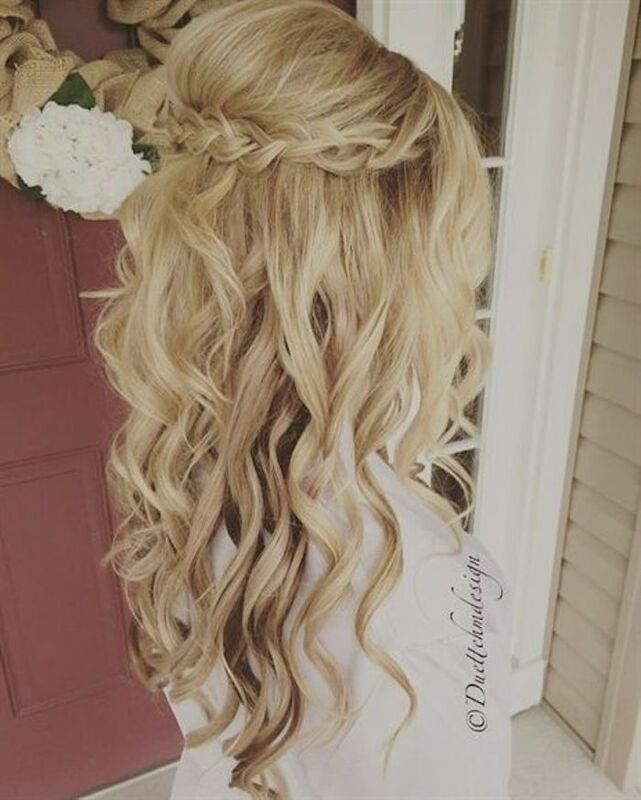 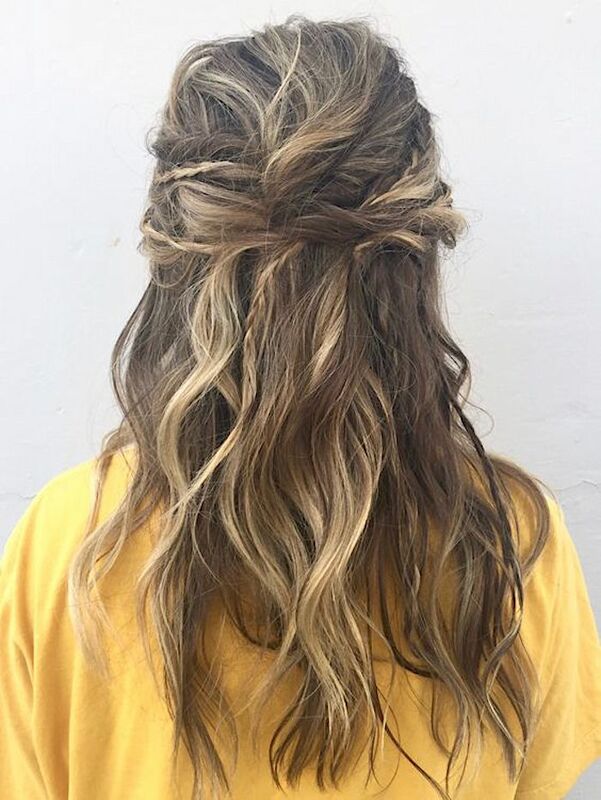 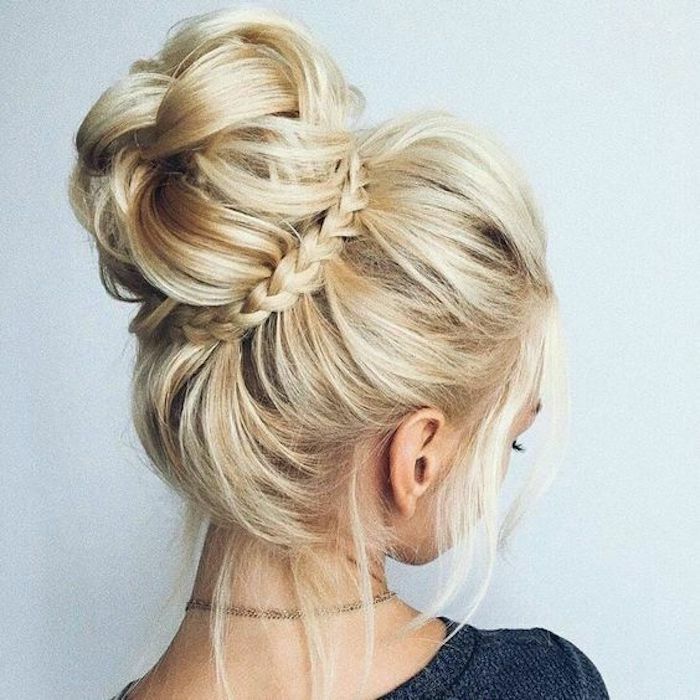 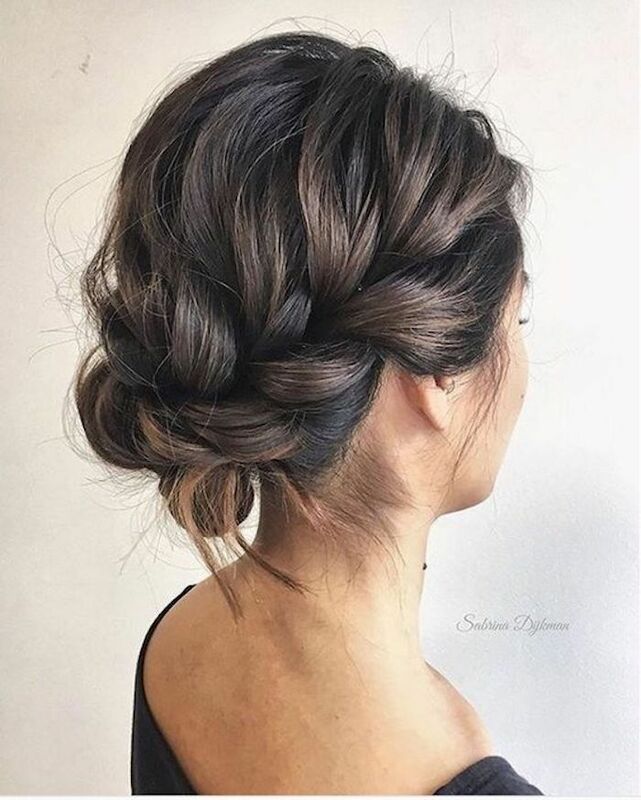 If you love the look of long loose curls but would prefer to keep the hair off your face, a half up braided hairstyle might be the perfect look for you. 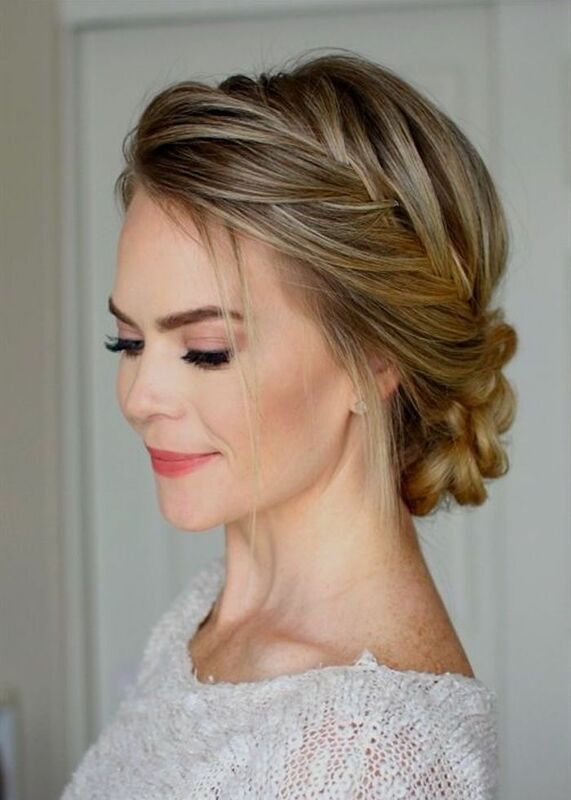 A half up hairstyle will offer the perfect foundation to secure your veil and it can also be adorned with bridal headpieces to finish your look. 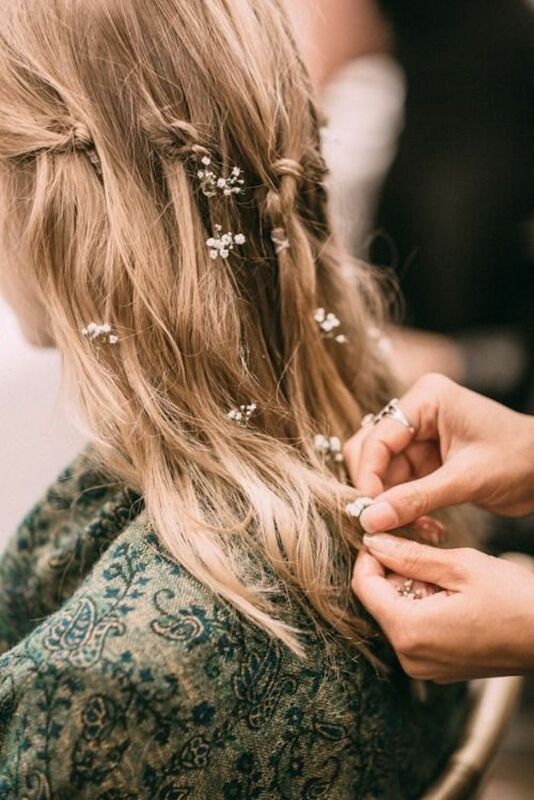 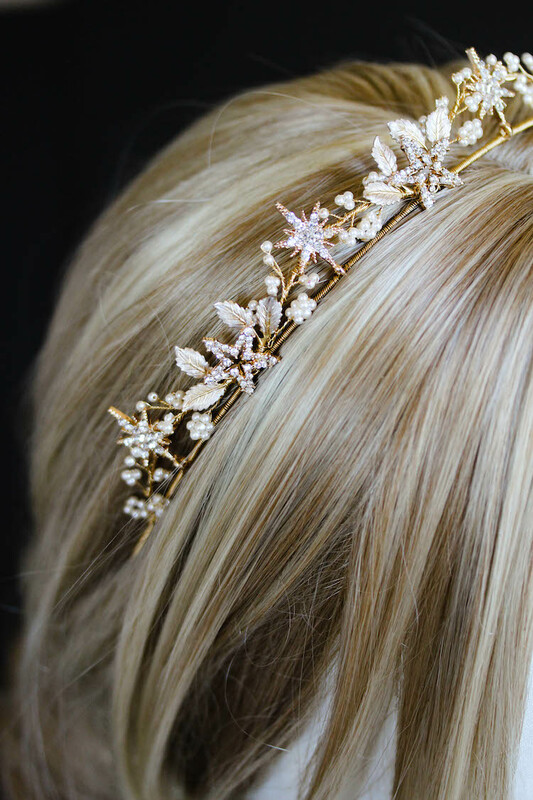 Whether it’s dainty and delicate bridal hair pins or a larger statement headpiece, a half up hairstyle is refined, chic and effortless in every way. 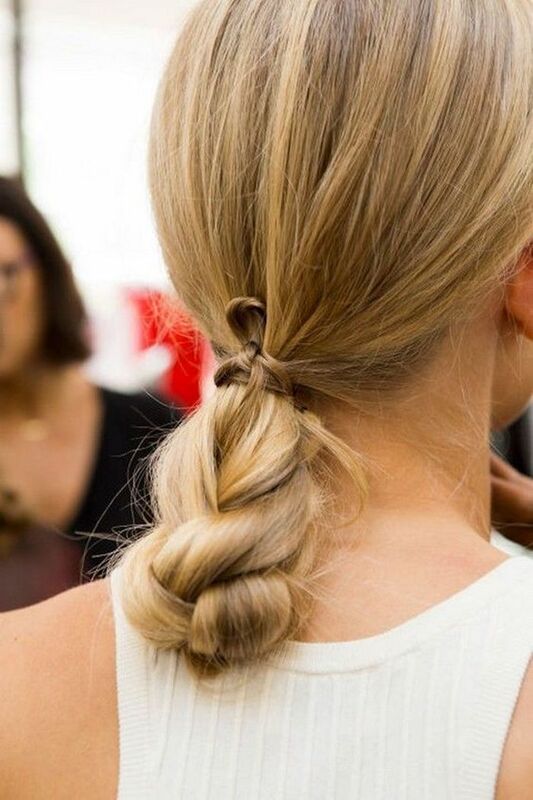 A ponytail isn’t just for weekends. 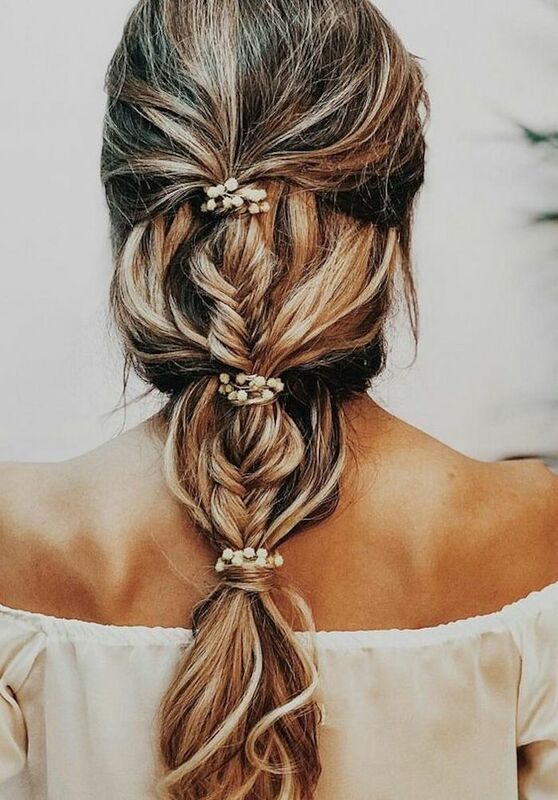 We’ve searched high and low and have pulled together our favourite twisted and braided ponytails that are wedding-worthy. 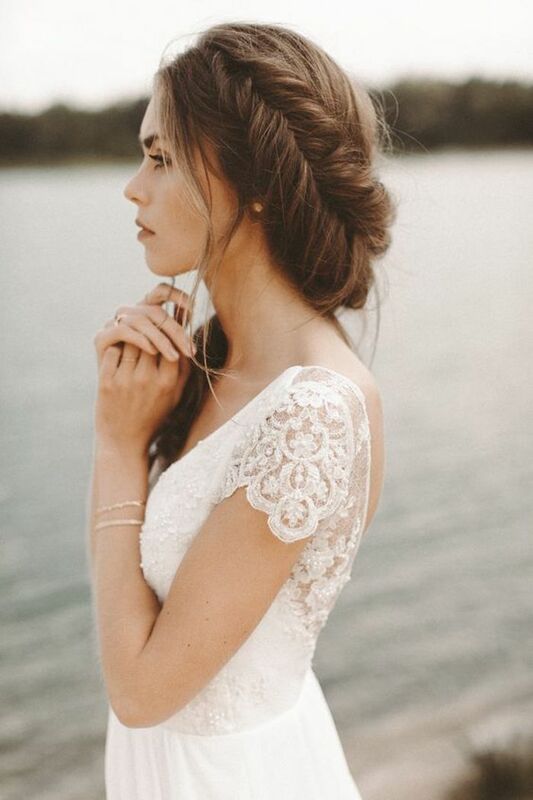 And remember, just because you’re wearing a ponytail it doesn’t mean you can’t wear a veil. 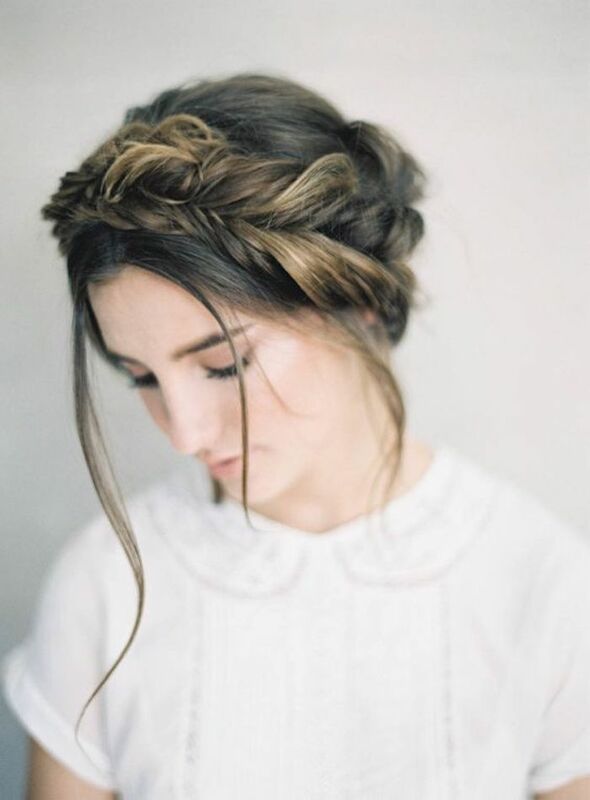 Our BORDEAUX fingertip veil and AUDREY chapel length veil are the perfect accompaniments to ponytails.